Tandberg Data today announced a milestone that has been a decade in the making. More than 4 million RDX products have been sold by the company and its OEM partners - representing a cumulative capacity in excess of 1.5 Exabytes of storage. For comparison, 1 Exabyte of storage is estimated to equal 100,000 times the printed material, or up to 3,000 times all forms of content contained in the US Library of Congress. Tandberg's patented RDX technology, a disk-based removable storage format for backup, archive and disaster recovery, is an example of unprecedented innovation and strong brand equity among technical products. At the end of 2006, Tandberg Data created a new era in backup and restore capabilities when it introduced the first RDX QuikStor drives with RDX cartridges. In the decade since, RDX products have been recognized by customers and press for technical leadership, security and reliability in long-term storage, archive and backup. "RDX technology has been a very important part of our overall backup and recovery portfolio for Hewlett Packard Enterprise because it is so reliable and easy for our customers to use," said Doug Cirruzzo, Category Manager from HPE. "Unlike other comparable technologies that have now disappeared from the market, the RDX solution has continued to offer a high level of effectiveness and usability while maintaining the technological leadership required by dynamic IT environments. We congratulate Tandberg Data on its 10th anniversary and look forward to continuing our partnership for decades to come." Today's RDX removable disk-based technology provides lightning-fast backup and restore with a durable and ruggedized form factor. The RDX product family delivers cost-efficient, long-term storage and archive solutions to small and medium-sized businesses (SMB) with growing data storage needs. It combines the portability and reliability of tape-based backup with the speed and simplicity of a hard disk drive. Ruggedized RDX cartridges are shockproof, can sustain a one-meter drop onto a concrete floor, are protected against electro static discharge events and support an archival lifetime of more than ten years. "We are excited to celebrate this successful milestone of RDX technology, crafted from our combined history of innovation and performance reliability," said Randy Gast, President of Storage and COO for Sphere 3D. "The past 10 years could not have been possible without the dedication and consistency of our employees, partners and customers. We look forward to continue working together to pursue the growing demand that we see in areas like professional workflow, archive solutions, and hybrid clouds, as well as from vertical markets like media and entertainment." 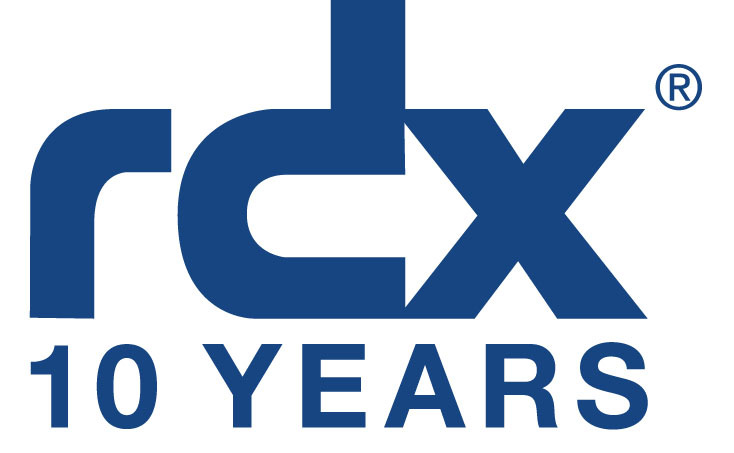 "The Tandberg team is delighted to celebrate this remarkable 10 year milestone of RDX technology in the long-term storage, archive and backup market. With more than 4 million devices deployed worldwide, RDX has shown leadership in the area of removable and transportable business-grade media," said Hugo Bergmann, product line manager RDX storage and software solutions at Tandberg Data. It's an honor that RDX has been utilized and trusted by hundreds of thousands of businesses using it for daily storage and archiving of critical business data." Contact BackupWorks.com at 866 801 2944 for all your RDX Storage needs. The patented RDX series provides scalability, centralized management, is encryption and duplication capable, and reliability for backup, archive, data interchange and disaster recovery. RDX provides enterprise performance and fast access, with transfer rates of up to 1188 GB per hour and capacities up to 4TB per cartridge, plus future expansion to larger capacity media enabled by Sphere 3D's breakthrough RDX+ technology while maintaining the full backward compatibility to legacy RDX products. Tandberg Data's RDX QuikStor is available as an external desktop or internal server drive with SATA III, USB 3.0 or USB3+ connectivity. RDX QuikStationTM 4 and RDX QuikStation 8 are rackmount and removable disk appliances for SMBs, offering 1 GbE or 10 GbE iSCSI connectivity and an online capacity of up to 32 TB. RDX HDD media are available in the range between 500 GB and 4 TB, RDX SSD media up to 256 GB and RDX WORM media with 500 GB and 1 TB. All RDX media capacities are fully forward and backward compatible.